1 Comment on Celtic Destiny: romance or fairy tale? Kissa Starling (or as her sweet, alter ego K. Starling) has written for Alyson Books, Cleis Press, Freya’s Bower, Lyrical Press, Red Rose Publishing, Renaissance Ebooks, Simon & Schuster (Atria Books) and Whiskey Creek Press Torrid. When Clarissa Randolph decides to give up stripping for a living, she lands in Scotland as a nanny for the children of Master William Kirkland. Upon arriving, Clarissa meets a gorgeous young man no one else seems to be able to see. Turns out the ruined castle next door is haunted by not one but three ghosts, and she’s an oracle destined to put these troubled souls to rest. While Clarissa works to give the ghosts the peace they need, she finds herself falling in love with her new wards and their father. Together, the two adults discover their intertwined past and solve the puzzle presented by the ghosts. 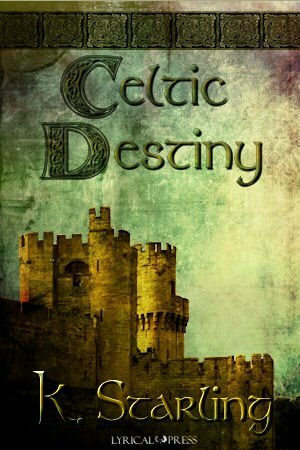 K. Sterling writes well: each word and sentence is in the proper place, Celtic Destiny is a comprehensive whole, and all questions are answered by the end of the novella. Yet I couldn’t help but feel there was too little substance. The characters cried out for more development and conflict. There was a time in my life when I read “nice” romances from Harlequin. Celtic Destiny could have been one of these with the additions mentioned above. As it stands, the book is an enjoyable, easy-to-read story of new love and of old love reunited. But, in my mind, it’s just not substantial enough to be a romance. The book feels more like a fairy tale in the tradition of Sleeping Beauty. Where else are you going to find a friendly ghost who will talk to you and hold your hand, where terrible children fall under the spell of your wonderful charm and where your soul-mate loves you before he even sees you? These comments are not criticisms. The novella is probably fine for a quick afternoon read at the beach. I just feel Celtic Destiny could have been more than it is. Sounds like to concept is there and could be something great. I may check it out as a quick enjoyable read!